Have you read about our Staff Exchange program? See flyer. The program is designed to enhance global awareness, encourage the development of cross-cultural perspectives, widen the participant’s skill base and ability to develop innovative ideas through exposure to different office environments and work practices. Please see our online flyer for details of a Case Study between Realco Logistics (Taiwan) and Canaan Shipping (Canada). Mr. Curt Chen who had been at Realco Logistics for two years spent three months at Canaan Shipping. 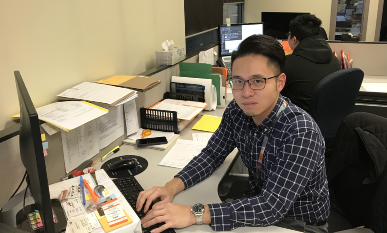 President of Canaan Shipping, Mr Patrick Lo said: "Not only was there theoretical knowledge, but we had 1 person assigned to walk him through specific files and clients. There was a weekly report updated back to the Head Office from Curt." After a very successful 3 month program, Curt returned to Taiwan. Millennials are often looking for travel/out of country experience. This provides a positive attractiveness for companies to do this program. Better relationship building between PCN Members. Generation of mutual sales leads for projects. Please see our online flyer for guidelines and objectives. To register your interest in our Staff Exchange program (either as a host or to be a visitor), please email judith@projectcargonetwork.com.